The U.S. Coast Guard Boating Safety Division is making the following articles available for publication inmagazines, newsletters, and club publications. Boating safety advocates may publish this material in whole or in part without charge. We only request that alluses of this material be credited "Courtesy of the United States Coast Guard" and that language not be altered without Coast Guard permission. To access and download each article, many with supporting photographs, simply click on the title. Note that new titles will be added as they become available, so check back from time to time to see what's new. Downloadable logos from the USCG Boating Safety Division, including "Boat Responsibly" logos, "Sport Fish Restoration" logos, and the U.S. Coast Guard Seal. 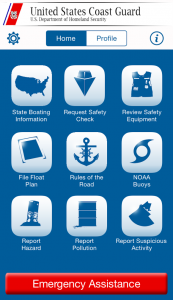 The U.S. Coast Guard has provided the Image Library as a resource tool for boating safety specialists, advocates and the general public. All images therein are considered "public domain" and therefore, are free to be used for any educational or promotional purpose. The Coast Guard's sole request is that all users identify "U.S. Coast Guard" as the source of any and all images. Downloadable photos to use in your internal publications or to accompany articles you might write about boating safety.